You're not just a "film buff." You love analyzing how camera work, lighting, and setting enhance a good script. You study special effects, camera angles; your home videos have production values. If you dream of one day being listed on the credits, then a degree in film or television is for you! If you are serious about a degree in film and cinema then start your journey today by visiting any of the Bachelor's degree in Film and Cinema schools listed below to learn more. Start your training in high school. English classes teach storytelling, composition, and communication. Math and business classes provide the skills you need to manage a budget. Art and photography will train your eye. Social studies help you understand people, cultures, and spark your imagination. After school, participate in school or community theatre. Practice shooting and editing your own movies or documentaries; you'll be surprised with what you can accomplish with ordinary equipment. If you're an adult pursuing a lifelong dream, improve your computer skills to prepare for class work. Decide which degree appeals to you: fine arts or academic. A fine arts degree will lead to a job in the film and television industry, while a film studies degree prepares you for a career as a professor, critic, writer, or any occupation well-served by a liberal arts degree. Whatever your goal, you'll find many programs to choose from: university telecommunications departments, vocational colleges, film school, and even online opportunities. Is the program accredited? This is important: you can only receive financial aid for accredited film schools, and accreditation insures that your education meets professional standards. Will you need to relocate? Do faculty members have industry experience and connections? Will you have field work and internship opportunities? Are there state-of-the-art lab facilities? Does the school offer career services? Where do alumni work? Can you fit classes around family or job obligations? These questions will help you select the perfect program. 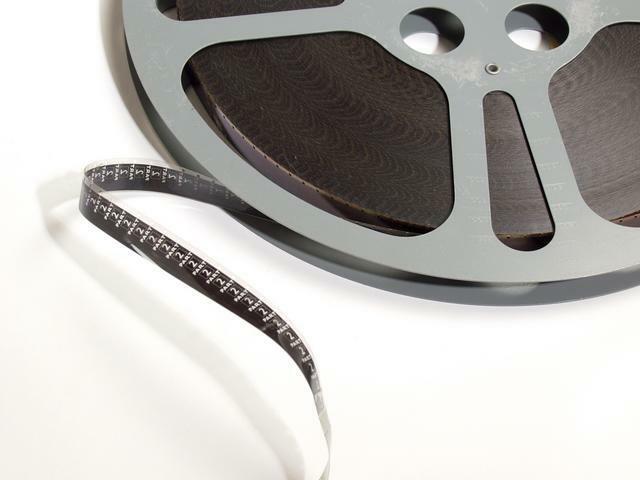 Coursework in film studies provides you with the tools you need to analyze film and share information with others. Class titles include: Women in the Media, Theory and Criticism, Art of the Cinema, and History of American Film. To work in film yourself, you'll study topics such as: production techniques and practice, media ethics, program graphics and animation, audio production, and screenwriting. You'll collaborate with fellow students, producing films using Foley and motion capture stages, Dolby mixing, and professional editing equipment. You'll serve an internship and graduate with a portfolio or reel of your work. Your film studies bachelor's degree could lead you to a career in academia, writing, documentary production, entertainment law, agency, or in the film industry itself. If you graduate with a fine arts degree, you might find yourself setting up shots as a camera operator, working as a casting agent, creating and producing your own documentaries, scouting locations, designing sets, procuring financing, editing film or sound, writing screenplays, any of the myriad activities that bring stories to life on film. Everyone who ever accepted an Oscar stood where you are today, stop practicing your acceptance speech in front of the bathroom mirror; trade that brush for a real microphone by earning your degree in film and television! Start today by finding the best film studies bachelor's degree near you or choose to take your program online. The film and video industry is massive in terms of the amount of people needed to produce films these days. Before enrolling in any art and design college, check out the career opportunities available. Film Maker – Do you want to be behind the scenes in film production or as a cinematographer? As a film maker or producer you’ll run the entire process including casting, shooting, working with directors as well as working with all the 3rd party vendors needed to take a film to the masses. Writer – Become a film or video writer and create scripts for shows or movies. Be part of a team of writers that can even come up with and pitch ideas to lead writers and producers. Commercials – Produce videos for companies. As a video producer you can even use your work online in advertising. Editors – Film producers utilize editors in planning process as well as pre and post production. When you take your degree you’ll focus on a lot of different areas including those in pre and post production as well as specialized training that will teach you specialized areas such as: Editing, Animation, Cinematography and even Advertising. Below are some of your core courses that most schools will teach you.